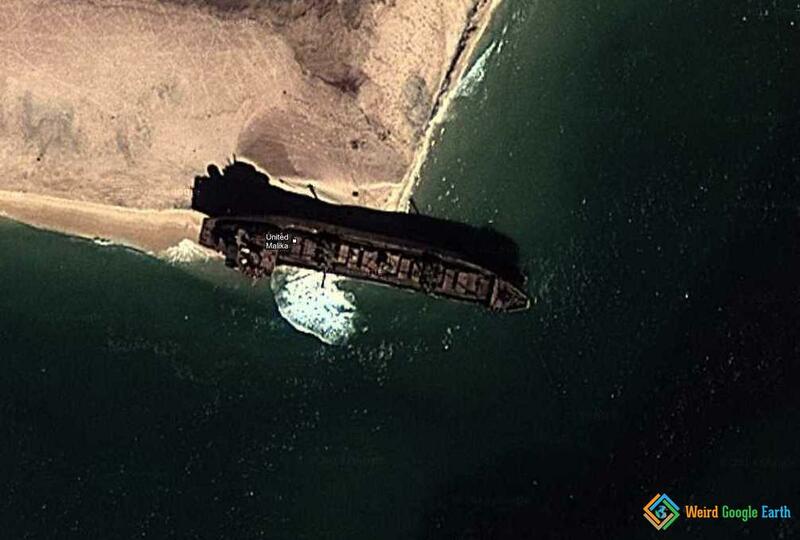 And here is another shipwreck, this time in Mauritania. Looks like a cargo ship washed ashore. [Edit] The name of the ship is United Malika, with gross tonnage 4239 tonnes. Built in Japan in 1979, it is a 387.8 reefer that ran aground in Mauritania.